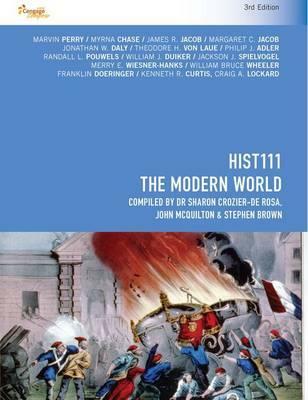 CP1056 ' HIST111 The Modern World, 3e, is a Cengage Compose book. It has been compiled by Dr Sharon Crozier-De Rosa, John McQuilton & Stephen Brown for the University of Wollongong and is designed to meet the needs of students studying modern history. It contains material from leading Cengage Learning books.